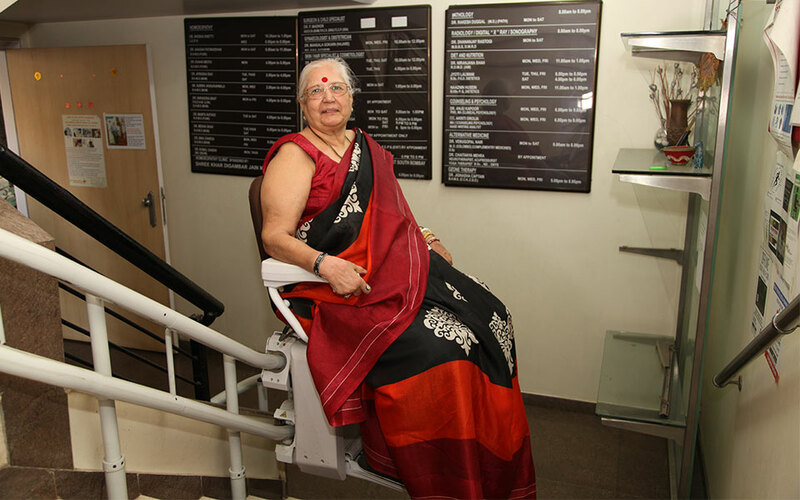 Stair Case Chair Lifts Elevators | Mumbai Pune Delhi Bangalore Hyderabad India. The Curved Climb variant by STAIRCHAIR is the ideal choice of stairlift for curved staircases with turns and/ or bends along its path. As the name suggests, this stairlift is designed for uninterrupted travel along a curved multilevel staircase. It all begins with an assessment of your staircase. A detailed survey is conducted to prepare an installation drawing. The track is customized and designed with high precision to achieve a compact fit on your staircase. The robust design ensures a long working life and reliable performance. Installation of the track is on the Steps. Neither is your staircase modified, nor is the side wall or banister required for support. The seat is ergonomically designed for a comfortable ride. 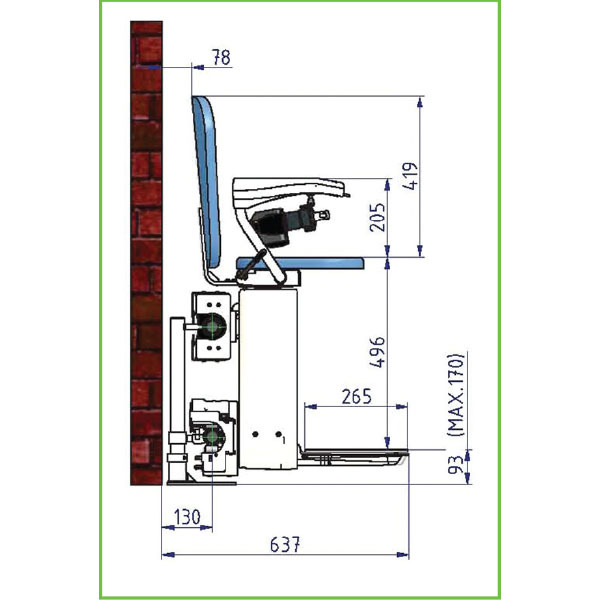 STAIRCHAIR is offered with a 130 or 160 Kg variant. After use, the seat, armrest and footrest can be easily folded up. Power outage – No Problem!!! STAIRCHAIR is powered by a battery which is automatically charged at the top and the bottom of the track by a charger. The STAIRCHAIR comes with an optional charging and parking point on the mid landing. Mobilize safely with STAIRCHAIR be it day or night. 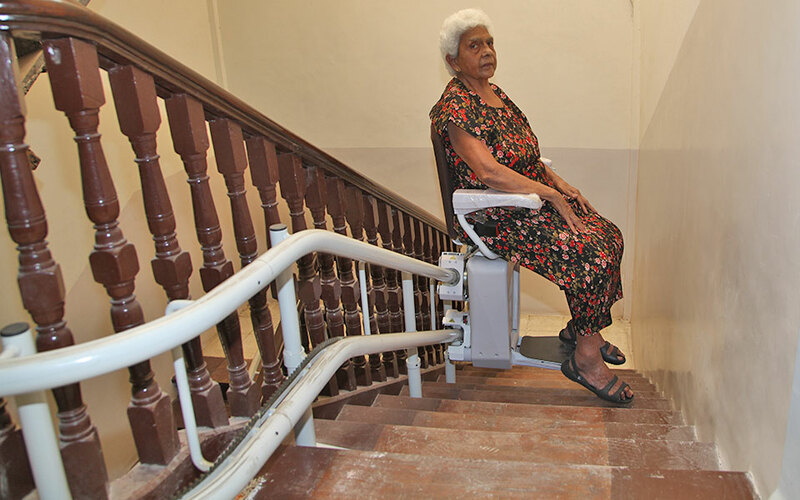 The Curved Climb stairlift is popularly installed in bungalows, duplexes, 3-4 story buildings, community centers, restaurants, commercial stores, showrooms, factories, party halls, medical clinics, places of worship, hotels, tourist places etc. where the staircase is curved and indoors. 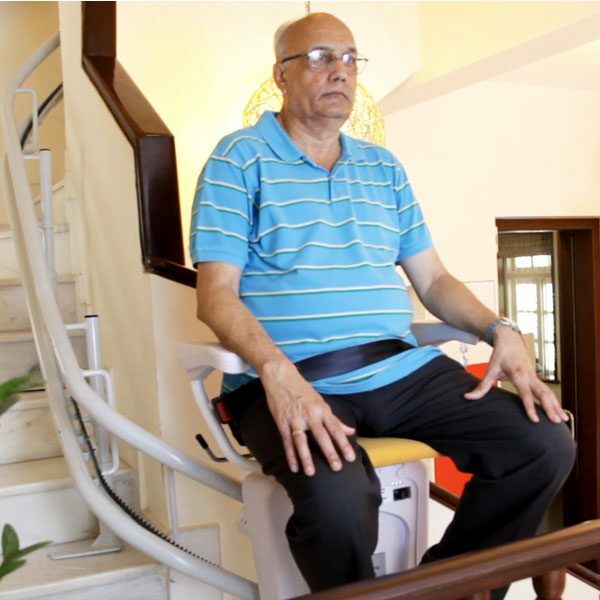 STAIRCHAIR adds mobility in life and makes difficult staircases easily accessible as and when you please. The Curved Climb by STAIRCHAIR is the most inexpensive way to access the staircase with safety, care and comfort. The chair travels on a robust yet compact travel track fitted on the steps. Side wall or bannister is not required for support. Installation of the track is on the steps without any modification to staircase. The chair is ergonomically designed for a comfortable ride. 130 Kg and 160 Kg variants are available. After use, the seat, arm rest and foot rest can be easily folded up. Key is provided to lock the chair and prevent misuse. Power outage no problem. Stair chair is powered by a battery. Advanced swivel seat makes entry and exit at top landing easy. Seat belt secures the user in the chair. Sensors detect obstacles on the staircase. 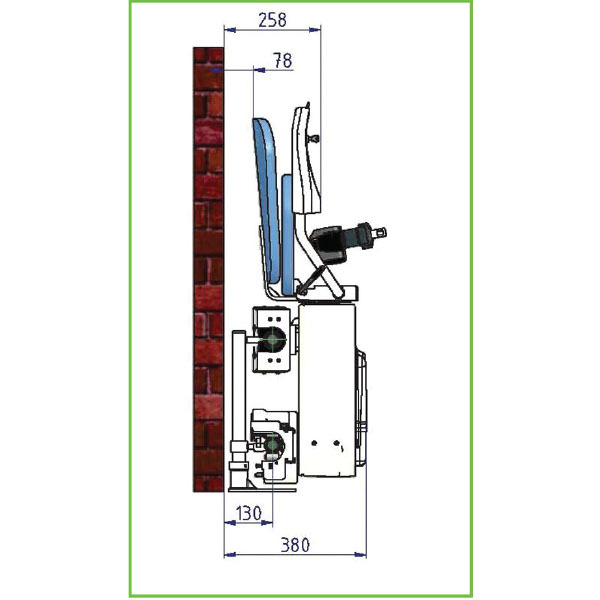 Stair chair is provided with a diagnostic display function. Remote Controls are provided for easy access on any floor. Optional charging and parking point is provided on the mid landing.